Business opportunity, take the lead with this property. Conceptual RV and boat condo Engineers drawing in place. Adjust the drawing andmake it your own to create a much needed and desired RV park and boat storage here in Ketchikan. Heavy Industrial Zoning allows many usesincluding RV park & boat condo's with permits. Existing caretakers residence and spacious shop.with the caretakers residence and spacious shop. Owner financing optional. 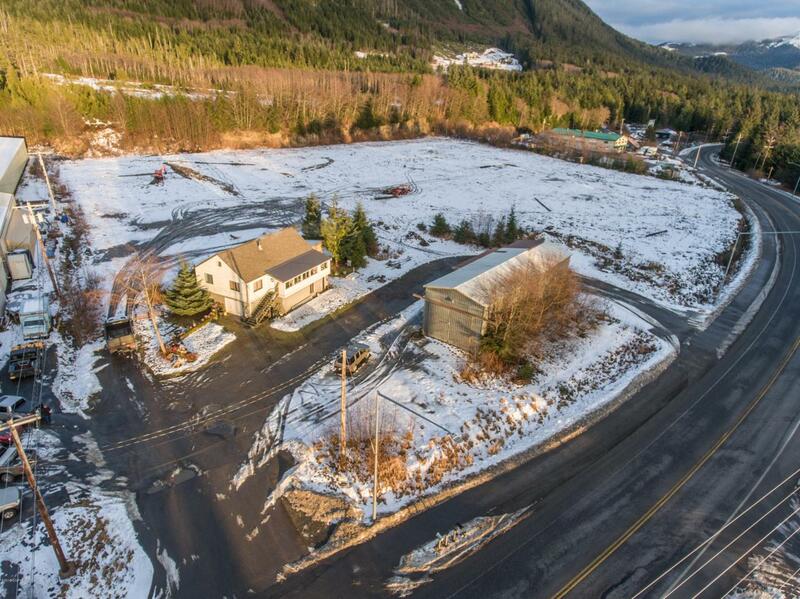 Additional 47,060 sq ft (10600 Blk N Tongass) lot that is separate for a total of over 253,000 sq ft. Add it to the existing lot or keep it for another use. Located minutes from airport and ferry terminal's, marina's, boat launch, recreational activities, gas, groceries and many other conveniences. Level and solid ground ready for your business. Call today! Listing Office Providence Properties. Copyright 2019 Alaska Multiple Listing Service, Inc. All rights reserved.